We wanted to let you know about the ticketing options for our next conference, which will take place on Friday 20 September, back at MSN UK’s offices in Victoria, London. We will again be offering delegates the chance to add on an additional day of training with our ‘news:rewired plus’ tickets option. With ‘news:rewired plus’ tickets delegates can attend both the news:rewired conference on the Friday (20 September) as well as book onto a day of intensive training on the Thursday (19 September). Creating a buzz: How to grow active social media communities. This course is led by Luke Lewis, editor of BuzzFeed UK. Mobile journalism: How to create quality video and audio on an iPhone and iPad. This course is led by Glen Mulcahy, innovation lead at Ireland’s national broadcaster RTE. Introduction to open data for journalists: finding stories in data: This course is led by Kathryn Corrick from the Open Data Institute. The first 50 news:rewired tickets (whether standard or ‘plus’), are available at an earlybird discount rate. This means news:rewired PLUS tickets will be available for just £280 (+VAT), while standard, conference-only news:rewired tickets will be available for £95 (+VAT). Tickets include lunch, refreshments and after-event drinks on the day. The earlybird discount will only apply to the first 50 tickets sold, or until Friday 31 May, whichever comes first. After this point standard tickets will rise to £130 (+VAT) and ‘news:rewired plus’ tickets will rise to £310 (+VAT). You can buy standard conference tickets at this link. 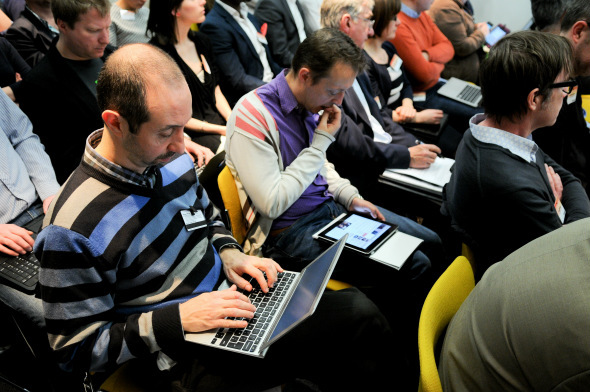 If you select a news:rewired PLUS ticket Journalism.co.uk will contact you to confirm which training course you would like to attend on the Thursday (19 September) and provide further details.